Which one would you call? 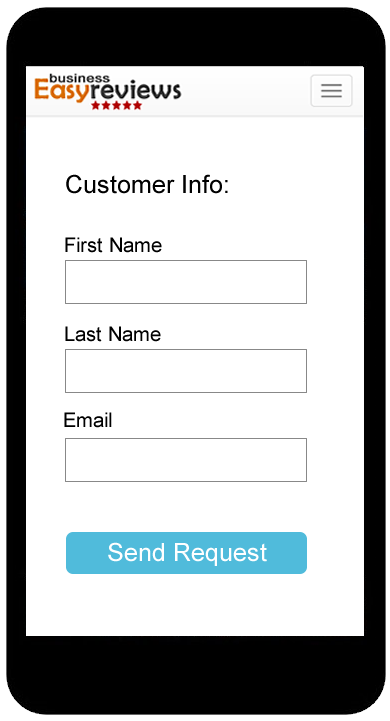 Open our mobile app and send your customer a thank you! Your happy customer responds and clicks "Yes, I would"! Then your customer selects a review site. Final step - Your customer leaves you a review! 90% of customers said positive online reviews influenced their buying decision. Easy Business Reviews Tool - The Easiest Way on the Planet to get Online Reviews. from Vigaroo LLC on Vimeo. An easy to use Web App compatible with any desktop or mobile device. 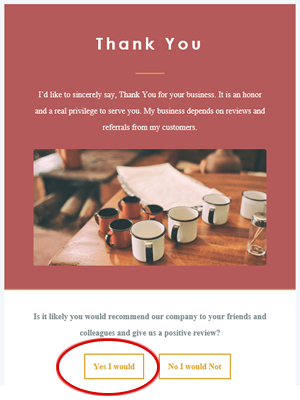 One step process to get Online Reviews. Reports to show active reviews. 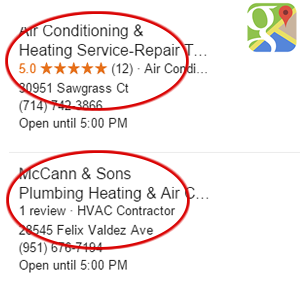 A system that helps prevent a negative review. A system that keeps asking for the review until it is completed. Your choose which reviews you want ie., Google, Yelp, Facebook, etc. 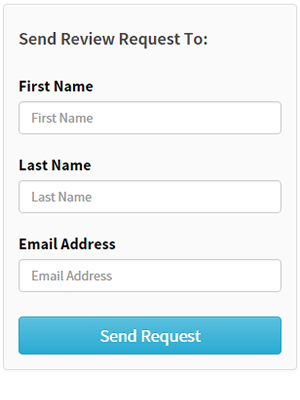 Add additional users for a minimal charge, to personalize each email request. Get positive reviews without even asking. Enable sales team to get reviews quickly and easily. 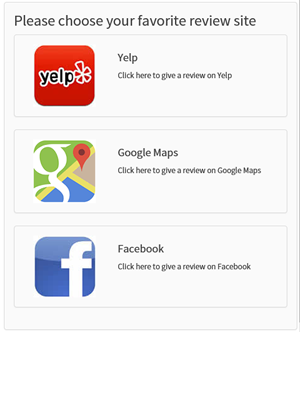 Never miss the possibility of a great review again - just open our app - type in the name and email address and hit send. No embarrassment of asking and if they have something negative to report you'll know about it before the online world allowing you time to fix any issues. 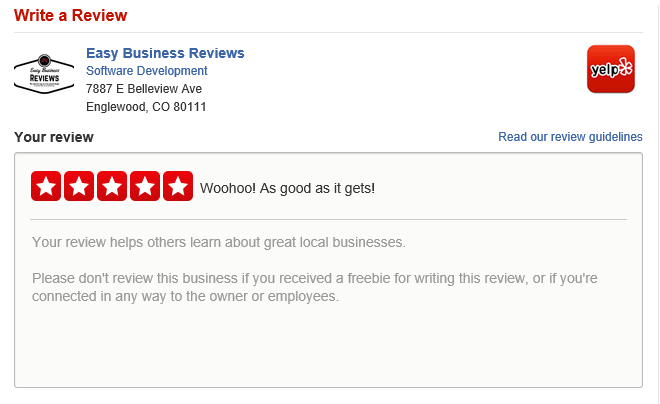 Get your more reviews online easier than ever before with easy business reviews. Get your negative comments taken care of and win customers back. 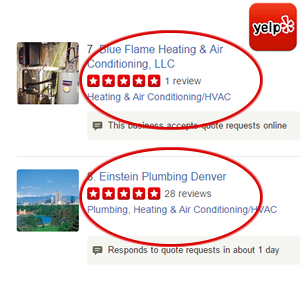 More reviews makes you stand out above your competitors as the clear choice for them to contact. 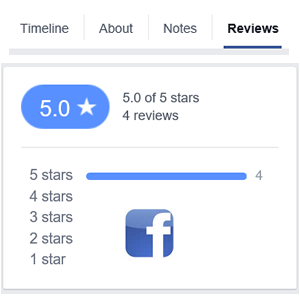 Make it easy for your customers to write and send great reviews and testimonials showing up on the most important sites like, google+, Facebook, and Yelp.